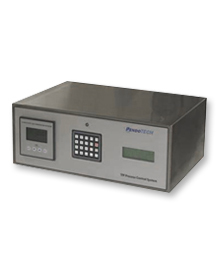 Featuring the ability to read 14 devices, PendoTECH’s Data Acquisition System™ streamlines bioprocessing data management by collecting all sensor data to a central interface. PC software displays the data, which can be real-time trended and saved to an Excel-compatible file on a hard drive for convenient data management. 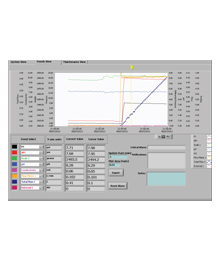 The DAQ software can optionally perform calculated values such as DeltaP and trans-membrane pressure that are used for certain filtration applications. Users have the ability to enter electronic notes, which are also logged to the data file, resulting in data that is supremely organized. Available inputs on the DAQ include: 4 pressure sensors, 2 scales, 2 flow meters, 1 pH probe, 1 conductivity electrode, 1 air-in-tube detector and 3 analog inputs that are configurable to other sensors such as UV, temperature and turbidity. The PendoTECH DAQ System enables a number of different types of process sensors and scales to be connected to one central system so the data can be all displayed and collected to one data file.